The following is just a sample of the many military operations BT-67 aircraft being flown across the world. 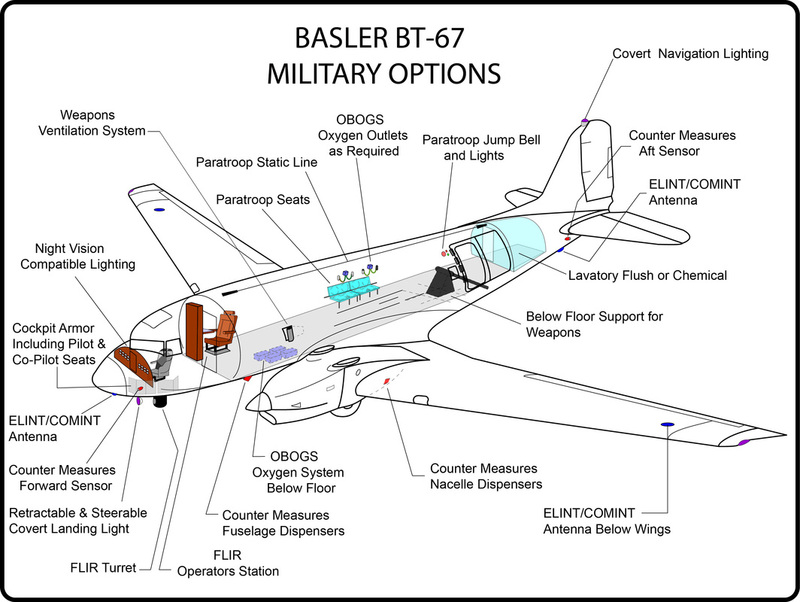 Contact Basler Turbo Conversions for help planning the BT-67 to meet your needs. 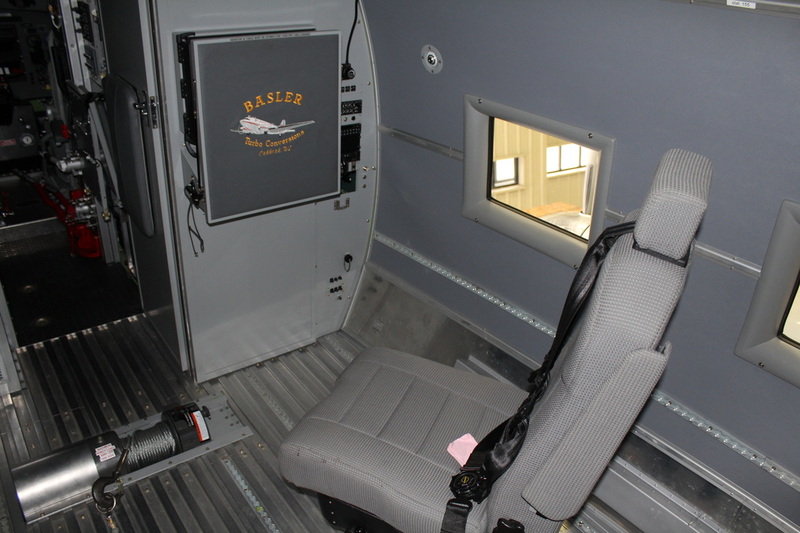 Military/troop seating arrangements can be side facing, forward facing, or a combination of both. 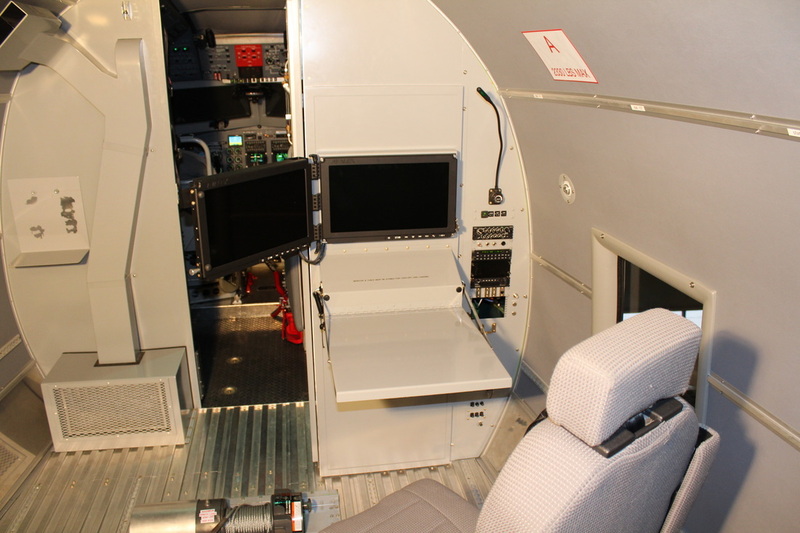 Folding features are consistent with the high utility design of the BT-67 interior. 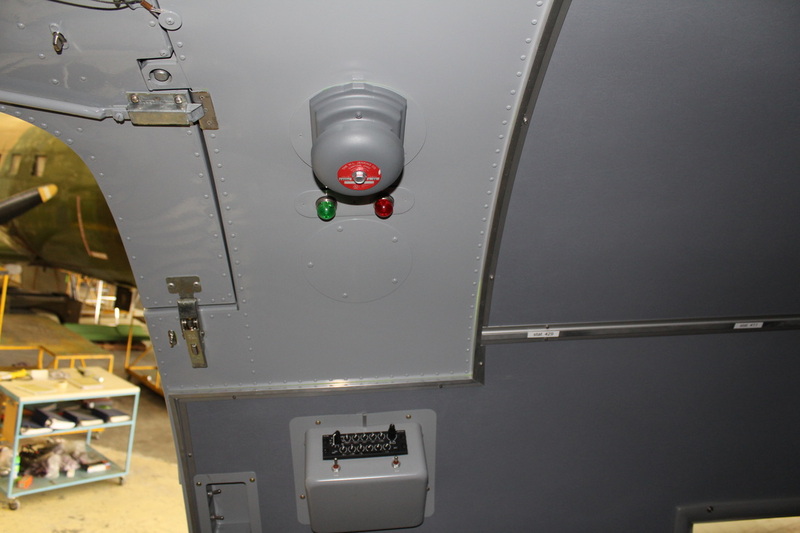 Configuration changes are quick and easy, providing users maximum versatility.